It might be cumbersome for the parents or the child to bring along flashcards when they go out, but this e-book version of our Wisdom Cards can be downloaded on hand-phones for easy usage. In addition, it is more beneficial than playing games! 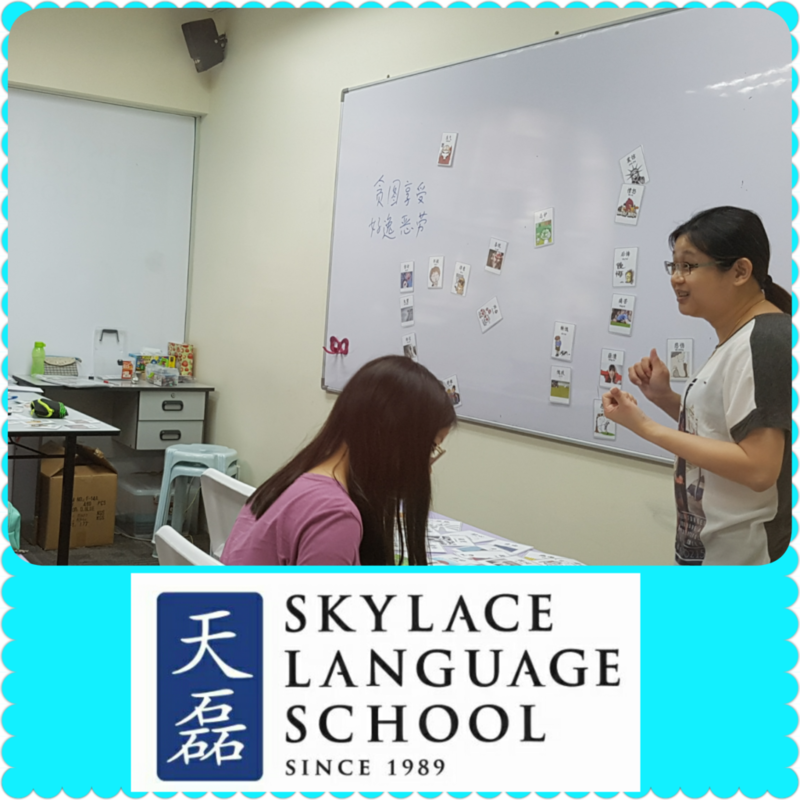 The Primary 1 to 2 Audio Books under the “Tong Du Tong Xin” series enabled the student to master word recognition and reading skills without the help of Hanyu Pinyin. The “Tong Du Tong Xin” Audio Book empowered the student to master the skill of reading Chinese stories at a young age. The use of our Preschool Wisdom Card has enabled this student to recognize many Chinese words. Look how confident this boy is, when he is able to recognize and read the Chinese words by sight, after listening to a story the teacher recited using these cards. 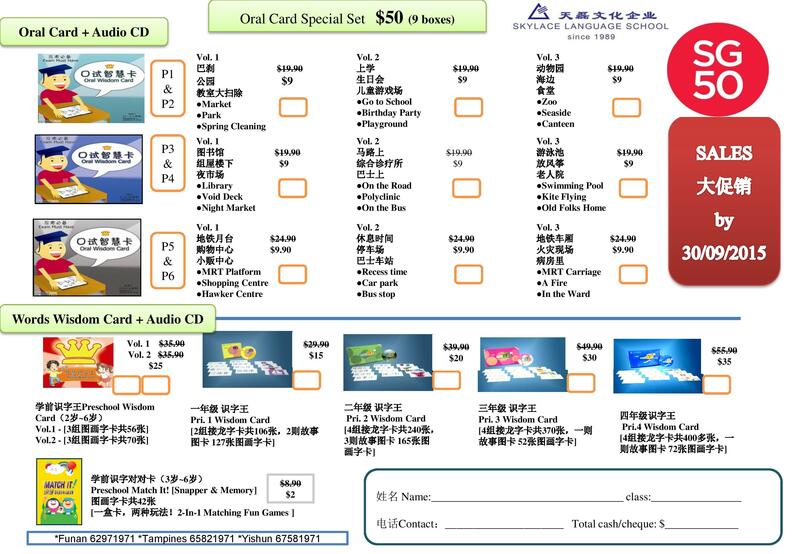 In celebration of Singapore’s Year of Jubilee, Skylace Language School has decided to offer the following products for sales. This offer is valid till 30th September 2015 only. Please call us at 6297-1971 for further information. You can also visit our homepage to find out more about our school.